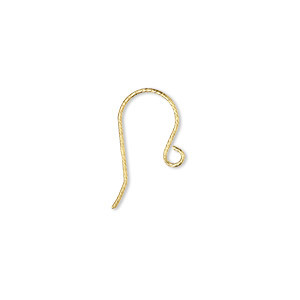 New 14Kt gold-plated sterling silver option on ear wires have diamond-cut texture for a sparkling effect. 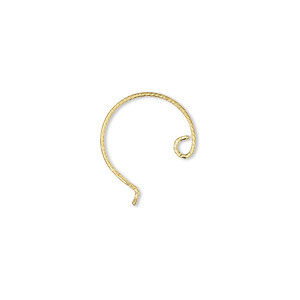 Ear wire, 14Kt gold-plated sterling silver, 12.5mm diamond-cut fishhook with open loop, 21 gauge. Sold per pair. 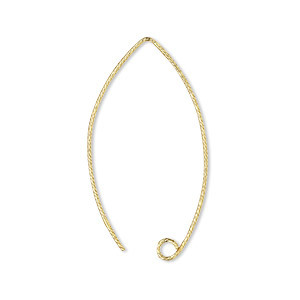 Ear wire, 14Kt gold-plated sterling silver, 18mm diamond-cut fishhook with 2mm ball and open loop, 21 gauge. Sold per pair. 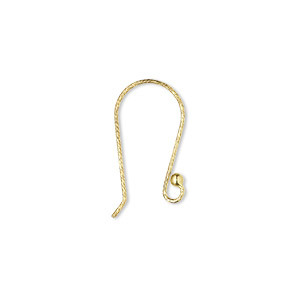 Ear wire, 14Kt gold-plated sterling silver, 13mm diamond-cut fishhook with 2mm ball and open loop, 21 gauge. Sold per pair. Ear wire, 14Kt gold-plated sterling silver, 33mm diamond-cut marquise with open loop, 21 gauge. Sold per pair. 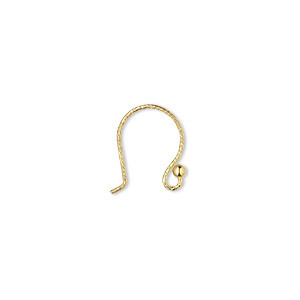 Ear wire, 14Kt gold-plated sterling silver, 12mm diamond-cut French hook with open loop, 21 gauge. Sold per pair.